What Is Drug Rehab Group Therapy? At Buena Vista Recovery, we offer group therapy for substance abuse in addition to individual counseling. We believe that group counseling is a vital part of a patient’s recovery path, and that learning trust and respect for others is imperative for patients. The social reinforcement associated with group therapy offers comfort and support as patients move toward long-term sobriety. A highly trained professional counselor leads group therapy sessions with small groups of individuals. Group therapy helps recovering addicts solve problems while improving social relationships and learning to operate as members of a community. The therapist helps participants recognize unhealthy ways of relating to others and offers more positive ways to behave and cope with the challenges of recovery. The therapist ensures that all group members are able to speak about their feelings freely and honestly in a trusting environment. As they work together on various problems, group members come to realize that they are not alone, that others are dealing with or have successfully dealt with the same issues. The ultimate goal is for each participant to grow and develop new coping skills by observing how others think and behave. Group therapy is a very effective addiction treatment. Humans are social animals: We live in groups, we work in groups, we play in groups. 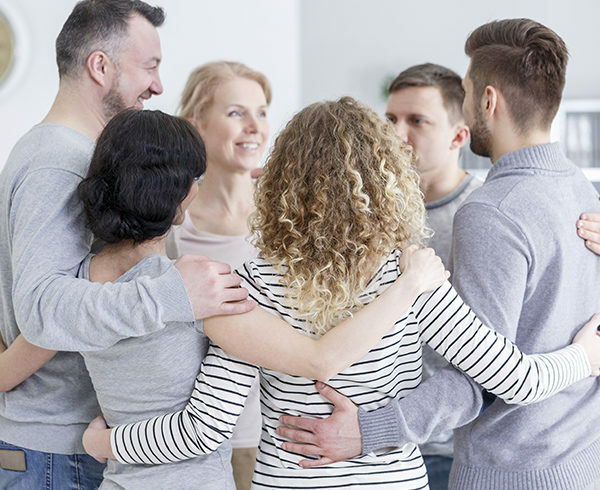 Groups diminish feelings of aloneness and allow participants to observe the successful recovery of others, and these outcomes are important to the patient’s recovery. An experienced therapist ensures that the group offers comfort and guidance to each member, allows uncritical self-expression while members offer feedback and coaching, supports healthy relationships, provides positive peer reinforcement and teaches new social skills. Substance abuse group counseling at Buena Vista Recovery offers the structure and discipline that many addicts lack. Our highly qualified therapists are specially trained to operate groups for drug and alcohol abusers, so we understand how to provide exactly what our patients require. We help you learn and practice the skills you need to cope with life’s stresses without the use of alcohol or drugs. You and other addicts will share similar experiences as you go through the recovery process, and together you will tackle the challenges of living healthier, substance-free lives.